One of my biggest music turning points took place in 1997 when I was browsing the lower level of the late HMV on East 86th Street in Manhattan. I remember not being terribly impressed by anything on the radio, grunge's heyday had passed, my son was just one year old, so I found myself walking up to 86th Street to do a cultural clean sweep between HMV and Barnes & Noble. In the compilations section, I ran across three new CD's from the Warner Brothers archival label Rhino devoted to power pop of the 70's, 80's and 90's respectively, the famous (and brave) Poptopia series. I was familiar with almost all the 70's content (The Raspberries, Dwight Twilley, Badfinger, Nick Lowe, Cheap Trick, Shoes, etc. ), about half the the 80's edition and almost none of the 90's. 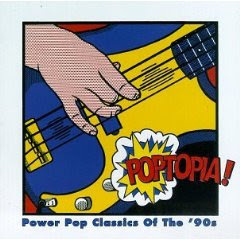 As a matter of fact, I was surprised there was a CD devoted to the 90's at all -- there was power pop going on now? I bought the last two decade editions and brought them home to sample. Even though I had never heard of most of the 90's bands, it was clear that three-minute jangly guitar rock was alive and well. As is my habit of diving in deeply into my passions, I researched every one of my favorite songs on that CD, typed in "power pop" into a search engine, and among the top results was Colorado-based power pop store/label Not Lame. I had struck gold, because here was a site that was slavishly devoted to the whole genre, selling CD's from all kinds of regional labels, with a special section devoted to Swedish power pop! 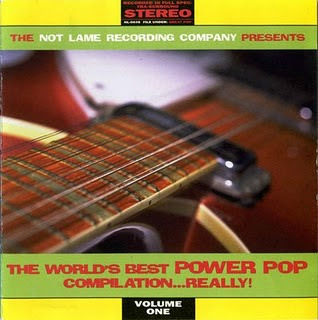 I took the safe route by ordering a Not Lame compilation modestly titled The World's Best Power Pop Compilation... Really! Volume One. After the Rhino Poptopia compilation, this was another CD sent from rock heaven, cracking open the that genre even further with more artists to relish and research. Good taste travels because there was one band both CD's shared -- The Rooks. If the Beatles could release double A-sided singles (i.e. "Paperback Writer"/"Rain" and "Penny Lane"/"Strawberry Fields Forever"), the Rooks could have put out one of their own with "Reasons" (from Poptopia) on one side and "Colors" (from World's Best Power Pop) on the other. Here was New York City-based band, right in my own backyard, emulating British Invasion guitar bands, an American version of the beloved UK New Wave group The Records, with chiming Rickenbackers and Fenders, layered harmonies, bristling tambourines, and the occasional two-lead attack (see The Records' "Starry Eyes" for reference!). Both "Reasons" and "Colors" are turn-it-up-loud songs that you can sing to, with modern analog production, yet sounding delightfully retro, like when you first heard the jangle of The Hollies' "On A Carousel." I'll admit that "Reasons" has very few lyrics, and you really have to listen to get all the words of "Colors" through the mix, but it honestly makes no difference. Who could decipher what Michael Stipe was singing about on the first four R.E.M. albums behind the jangly guitars of Peter Buck? The Rooks, led by songwriter/singer/guitarist Mike Mazzarella, remained local underground favorites throughout the 90's who were loved by the alternative music writers and critics, but sadly never able to break out on any wide basis. They produced indie label albums and singles and found themselves on other compilations, and I don't even know if they are technically still "together." Their web site at www.therooks.com is alive and well with a tremendous amount of content and scrapbooks. In his online bio, Mazzarrella writes: "Today, most songs are written around riffs, samples and patterns and that is where the classic song structure suffers. If I can't perform a song on an acoustic guitar or piano and make it work, then it's not worth my time." 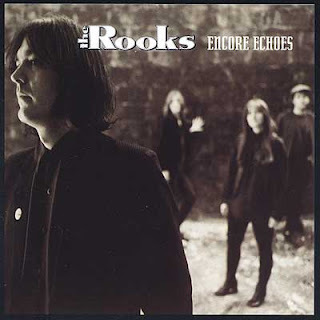 I have the best of the Rooks in one good place, their Not Lame compilation called Encore Echoes, which contains "Reasons," "Colors" and a whole lot more of their great songs if you appreciate British Invasion-influenced guitar bands. Since there are no videos for "Reasons" and "Colors," I've created one of my own featuring both songs, incorporating much of the artwork from The Rooks' web site. Below that is a fun 3 1/2 minute overview from a never completed 1998 documentary about the band, featuring the backing tracks of another song, "Love Said To Me."